Here in the Delaware Valley, we are heading into our “fog season.” But why? Why are there so many foggy mornings in the Fall? Firstly, fog is a type of cloud. It is the only type that forms at ground level. 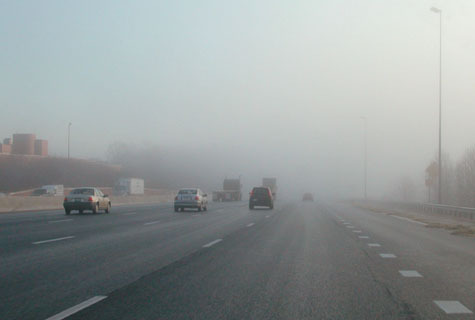 Fog can be particularly crippling to motorists as a result of its high water particle density, making visibility levels extremely poor. 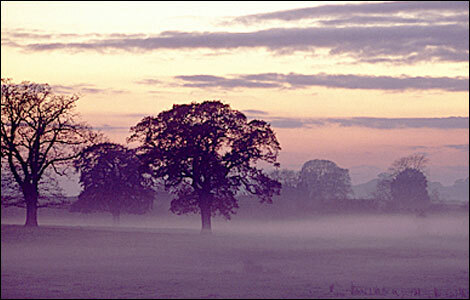 There are many classifications of fog that form in different areas of the world. In our area, we, for the most part, experience radiation fog. 1. The temperature and dew point (temperature for water vapor in the air to condense into water) are less than 4 degrees. Clear and chilly nights (common in the fall) are crucial in the formation of radiation fog. Radiational cooling of the air occurs, lowering the saturation point of water vapor. When the air becomes cool enough, the relative humidity will eventually reach 100%. Then, if the dew point and temperature are less than 4 degrees apart, fog will form. Radiation fog will form before sunrise and end shortly after as daytime heating begins and the saturation point goes back up.